Address by Ms Nazifa Ali, former refugee from Afghanistan, 2011 Refugee Conference, University of New South Wales, 15 June 2011. In Afghanistan I was a psychologist and worked in a hospital that counseled, treated and supported our patients who suffered from mental disorders & drug addiction. We had both young and old patients, some of whom suffered from physical traumas, others from opium addiction as well as mental illnesses caused by the drug. Our hospital was a safeguard for many people but soon it was not even a safe place for the doctors and myself. We had no choice but leave, as like many other homes our hospital became a victim of the terrorism caused by Islamic extremists. They were not happy with women having careers and so terrorised a small part of the nation which has now spread throughout many major parts of Afghanistan. My children were very young and I was not ready to risk their lives. My husband and I fled to Pakistan by foot in disguise as the government did not want the educated to flee for a better future instead they wanted them to die in their nation so that their voices would never be heard. We walked for days from the borders of Afghanistan in the hope of finding a better future in Pakistan. Although it was a painful journey where we suffered from illness and had no form of shelter but the thought of bringing our children a brighter future was enough motivation to keep us going. 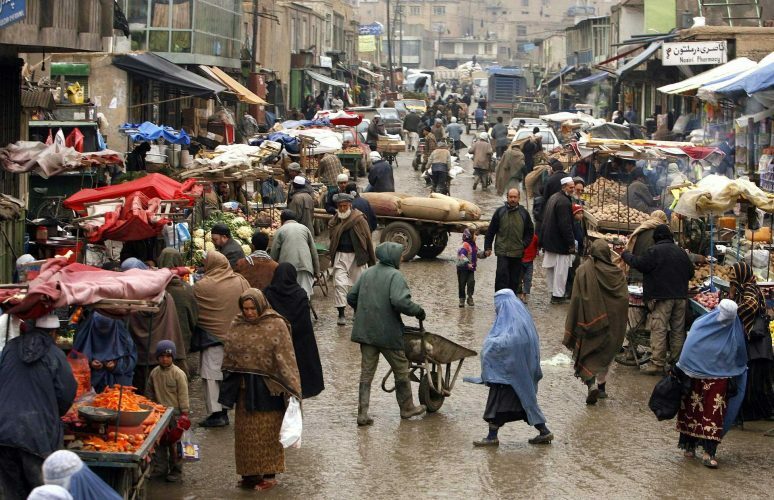 Where we fled to was an area which was controlled by the Islamic fundamentalist party- Peshawar. However, I knew there was no future there as it was controlled by the same terrorists we fled from in Afghanistan. Our journey led us to Islamabad were we stayed at an Afghani refugee camp. Living there I felt a sense of weakness in myself. I wondered why did I not stay and fight for my nation but then like many mothers my children are my number one priority and I would not risk their lives in order to fight the battles in my mind. With no electricity, clean water, school or doctor my husband felt the need to build a small clinic as he was a medical doctor. His aim was to help and support those around him and I also began working at a school. Our goals in life were to always help the less fortunate but we never thought that we’d be just that ourselves, the less fortunate. We tried for many years to legally enter Australia so that our children could live better lives and but it wasn’t until the eighth year of hard life in Pakistan until we were finally accepted into the borders of a country we now know and call home “Australia”. I left my own family, my mother, father, sister and brother in order to create a future for my children. This was probably one of the hardest decisions of my life that I ever made, but at the time I preferred living what I knew behind to escape a life where I would have probably been shot by bullets or hung in public by Taliban, simply on the basis of being an educated and a working woman. Upon arrival on Australia I no longer had an identity I was only known as “Nazifa Ali” who struggled to even put two English words in a sentence but I did not give up. I started fresh and began my new life in Australia by taking the first step of learning English. I enrolled in ACL in Parramatta and was a part of a class who found it difficult to communicate with each other as we were all from different nationalities but as time went by we got to a stage where we were all able to discuss our lives with one another in English. ACL for me was a starting point but from there onwards I managed to go step by step and finish a diploma in TAFE. I also enrolled in volunteer work in different organisation such as Merrylands Community Aid Centre, Meals on Wheels, Parramatta Home Support Service, to build my career aspects and from there onwards I started to feel at home. Currently I am working as a FICT Facilitator at STARTTS, as well as a bilingual community educator with Refugee Health Services and also a Parental Project Officer with Auburn Diversity Service. Although I was fortunate enough to have family in Australia who provided me with a lot of help and support when I first arrived, they could not protect me from the devastating memories I had of my homeland. My fear for my parents still being in Afghanistan caused ache in my heart. I have lost my father now but my mother is still alive and still lives under the most dangerous circumstances in the hope of seeing Afghanistan become a better place to live. But will she live to see Afghanistan in a brighter light? Don’t we all just wish for world peace which seems highly impossible at this stage? Why is it only the poor that go through this and suffer mostly? These are some of the questions that I ponder about most the time and have no answers for. I was able to overcome grief and the sense of loss through the support of two organisations which guided me to a better future. STARTTS and a Refugee Health Service allowed me to use my own strengths into paving a brighter future. They helped me climb the unclimbed and reach the unreachable. But whilst I was one of the lucky 1% refugees’ that got a chance for a second life, I always manage to think about the other 99% of the refugees that live under the most difficult and daunting circumstances in most dangerous countries. In the past I felt robbed of my pride but today I am proud to say that for 12 years Australia has been my home. My children were young when we arrived and I feared for their future due to their backgrounds but today I know that they have not only made me proud but they have made their home proud. They have futures and they have something they can look forward to and I know that would not have happened in Afghanistan. I thank all Australians for giving us this opportunity to call Australia home, I thank them for sharing their land and giving those less fortunate a future to look forward to. Thank you.